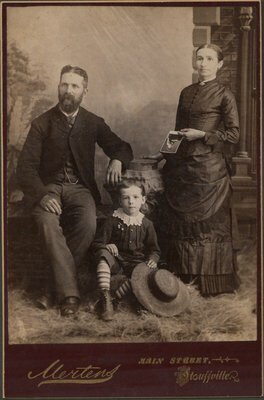 A photograph of the Brown family: Mr. and Mrs. Samuel Brown (born Hannah Lehman), and their son. W. J. Mertens is listed as operating photography business in Stouffville, Ont., in 1884-1899. Duplicated can be had at any time.